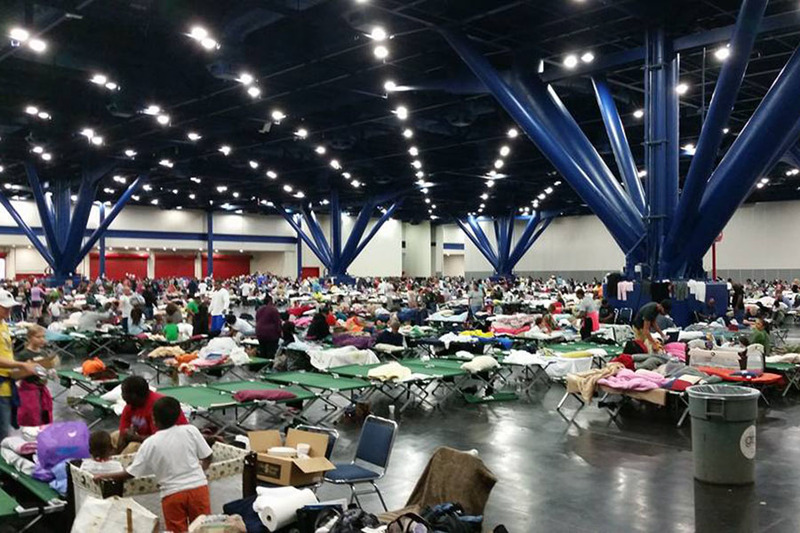 The George R. Brown Convention Center in Houston sheltered more than 10,000 victims of Hurricane Harvey. He walks into the convention center to an overwhelming array of images. A young woman sits and weeps with her baby in her arms. Doctors frantically treat as many victims as possible. A homeless man sits in the corner with a pained look in his eyes. Cots are stretched across the floor and people lay wounded and exhausted upon them while others hastily attempt to reunite their families. Garrett Smith is surrounded by chaos in the wake of Hurricane Harvey. 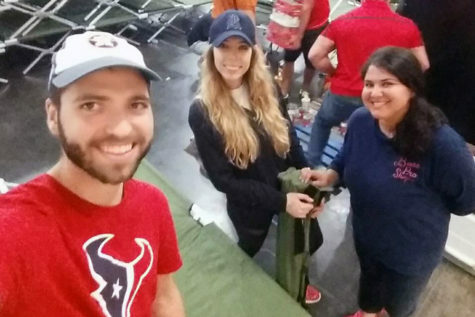 Garrett Smith and his wife experienced Hurricane Harvey while living in Houston. Smith, an 2006 Canyon High graduate, is the coordinator for commuter student involvement at Houston Baptist University. Following the arrival of the storm, Smith was away from his wife Hannah, an RN who was on disaster duty for six days without leaving Texas Women’s Hospital. Garrett Smith and friends volunteer to set up cots at the George R. Brown Convention Center. Smith experienced the force of the hurricane for himself in an attempt to bring supplies to his wife, who had driven his truck to work as her car was in the repair shop. After the first night, the hospital housed the nursing staff in spare rooms. 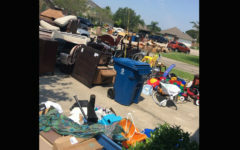 Smith said he was shocked to see the disarray in the George R. Brown Convention Center shelter when he volunteered in the aftermath of the disaster. Smith said the Coast Guard was active in rescuing victims. 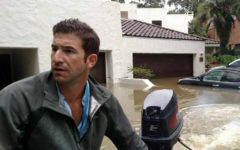 Smith said the most shocking aspect of the hurricane was the destruction of Gulf Coast towns, some of which he saw first hand as he traveled to perform in a benefit concert. Smith said he was proud to be a citizen of Houston in the aftermath of this disaster.